London, England, UK, 28 June 2016. 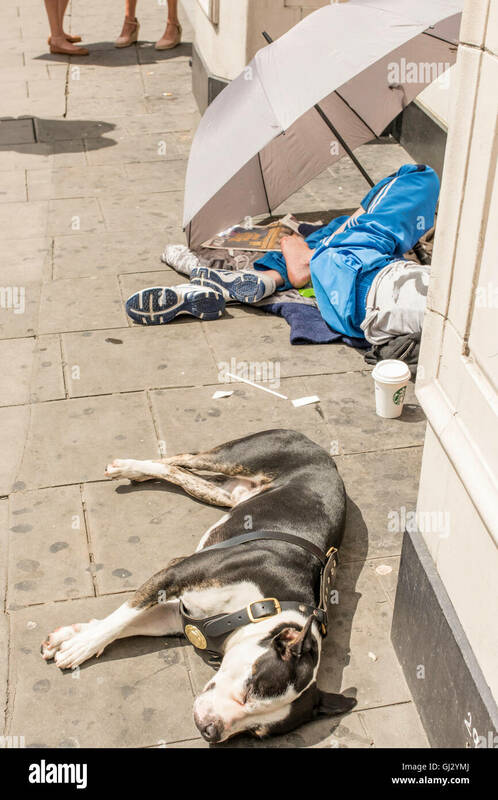 A homeless woman, sheltering beneath an umbrella on a warm day, sleeps on the pavement a short distance from her pet dog, who is also asleep. Location: London, England, UK; GB, Great Britain; Europe.